An educational programme for families with children over five years old. 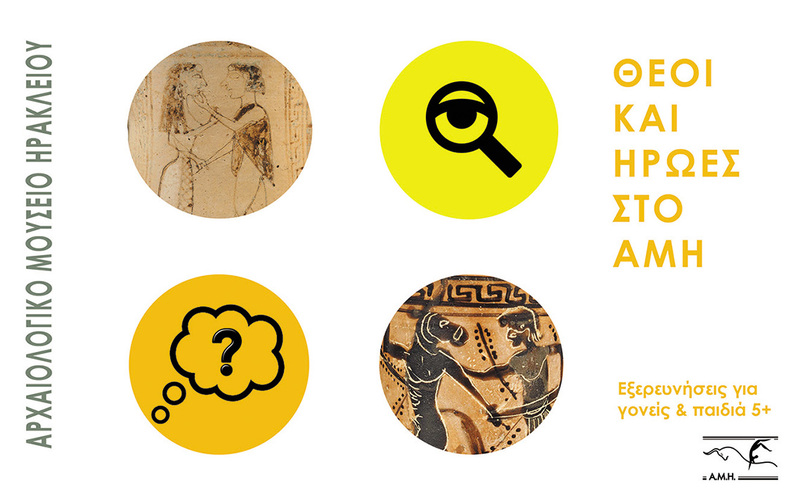 With their parents' guidance and the help of a leaflet, children discover the gods and heroes of the ancient Greek world through Museum exhibits, while learning about famous Cretan myths. The educational leaflet contains activities linked to specific exhibits, leading young visitors through the Historical Period Collection and offering them a fun, creative experience. Provided free of charge at the ticket office at the entrance to the Heraklion Archaeological Museum.